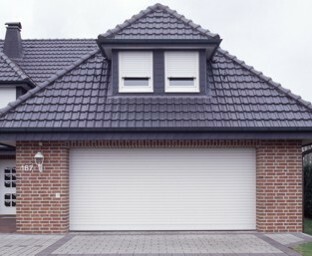 Please see below further information about residential garage roller shutters in London, Essex and the surrounding areas. Recommended usable size 3000mm wide x 3000mm high. Ideal for garages with limited internal or external headroom, the compact garage door neatly rolls up into housings that start from just 205mm (8″). The Compact is made from high quality foam filled 54mm aluminium lathes with a heavy duty bottom rail and the guide channels are brush lined to ensure a smooth and quiet operation. 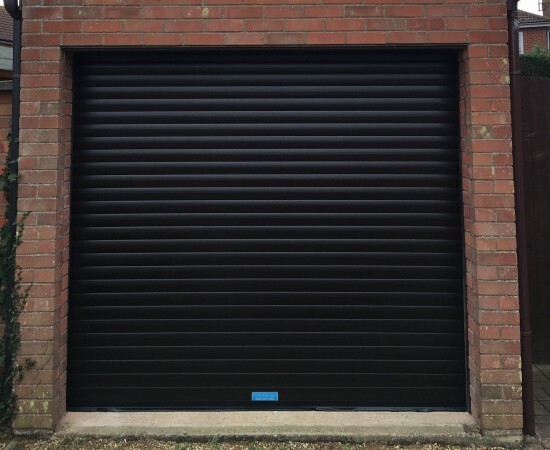 Safe and secure in operation, the Compact Garage roller shutter available in Essex and London is fitted with a safety beam which spans the width of the door opening as standard. If the beam is broken the door returns to a safe zone to avoid any accidents. The shutter is also fitted with an automatic locking system which ensures the door is secure when fully lowered. The door is operated via a market leading Somfy tubular motor, which includes a manual override and is operated via a remote controlled unit with courtesy light and internal push buttons. Two remote control handsets are provided and programmed as standard. Recommended usable size 5000mm wide x 2800mm high. 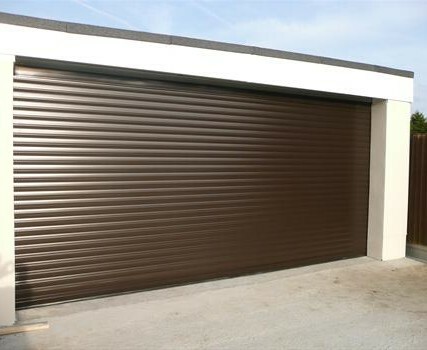 The WP75 ultimate garage roller shutter is the epitome of modern garage door design, aesthetics and security. Simply drive up to the door and press your remote control key fob to see the Rolladoor effortlessly roll-up and away from sight. The curtain is constructed from double skinned roll formed aluminium with a polyurethane infill for insulation and acoustic benefits giving five times more insulating properties than a conventional steel door. The compact design of the Rolladoor creates extra space in your garage and on your driveway so is even ideal for larger vehicles. Available in eight stylish colours, the durable electroplated finish eliminates the need for painting ensuring your garage door continues to look good for years representing a sound investment for your home. New profiles have been designed to match with wood and UPVC wood effect windows. These new profiles have a laminated wood effect membrane applied to the outside face of the garage door. Colours available are Golden Oak Laminate and Mahogany Laminate. 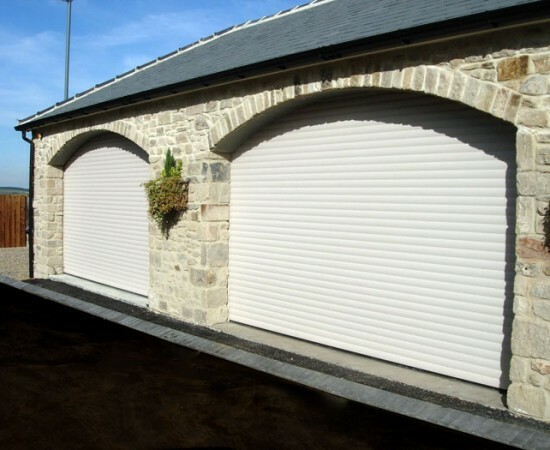 Each Rolladoor is made to fit your garage perfectly and once installed it has a very low maintenance requirement and comes complete with a twelve month guarantee on all manufactured parts for total peace of mind. For further information about our garage roller shutters in London, Essex and surrounding areas, please contact us on 0845 644 1225.